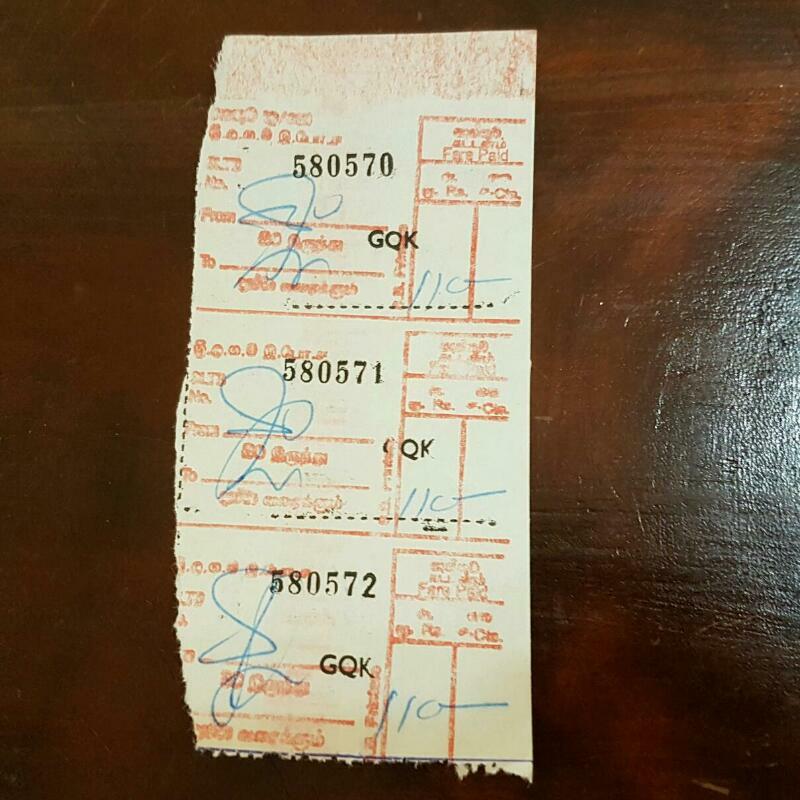 I thought at first it was a notebook the bus conductor was holding to jot down bus related affairs, instead it was a packet of tickets. 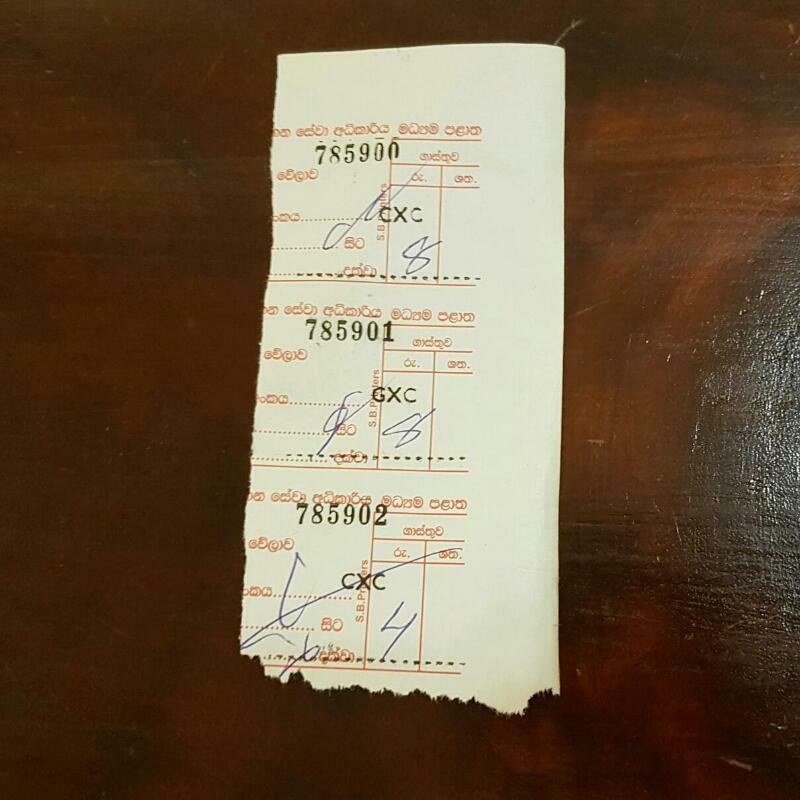 He would write the amount using a ballpen, then he would tear one or more tickets corresponding to the number of passengers you paid for. A child rate will be given in an intercity bus (observation based from my tickets) which is approximately half of the regular rate. 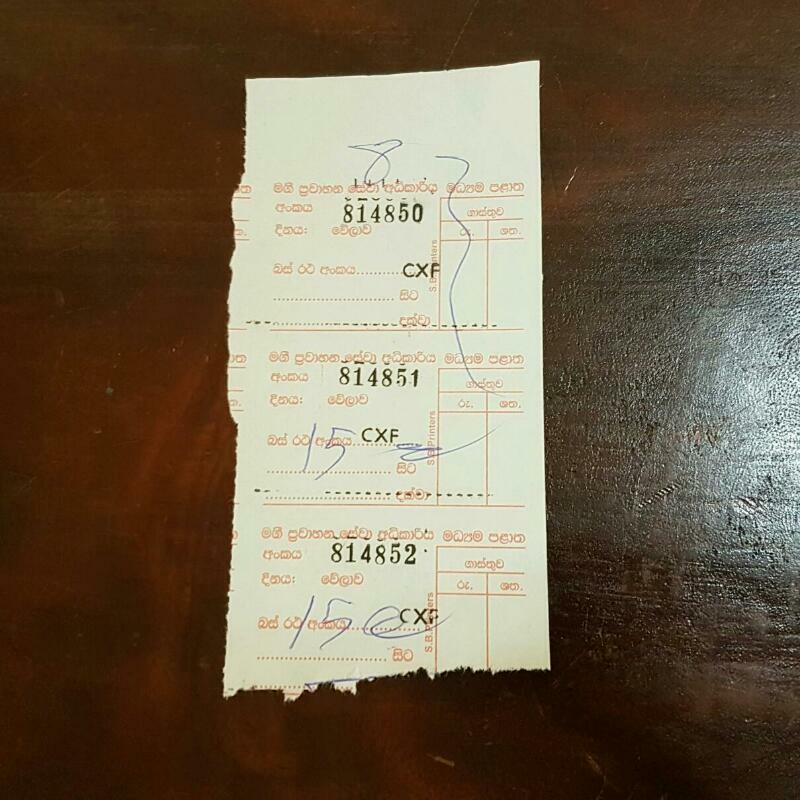 Tickets for 2 adults and 1 child for the bus trip from Colombo to the airport (CMB). Notice that no child rate was given.